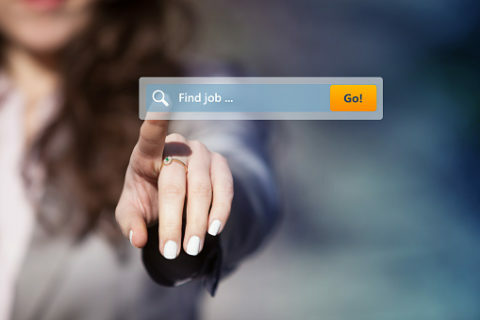 Searching For Your Own Jobs on Google & Indeed? If so, there’s a good chance that your check-ups might be hurting your results. Here are some things we’ve learned along the way and think are important for you to consider when designing your healthcare recruitment marketing strategy. Not to get too technical, but…Google uses a series of algorithms to analyze and then determine which results you want. Google’s algorithms can now assess your previous searches and the results you attained, your web history and your Google+ information. All of this is done to provide you with more relevant results. That’s why if you search your own hospital, websites and online advertisements regularly, they will most likely be listed on page one of your search results: Therefore, determining the effectiveness of your search engine marketing plan using this method is impossible. WE KNOW: You may inadvertently lower your paid search advertisement score. You’re excited and you want to see your paid search ad for nurse recruitment. You don’t click because you know that costs money, but by not clicking you’ve indicated to Google that your advertisement is ineffective. Once your ad is considered ineffective, your advertisement’s quality score suffers which is detrimental to your recruitment marketing plan. According to Indeed, each month approximately 200 million people visit their site, and every second a little more than eight new jobs are added to their search engine. With all of these visitors and the constant addition of new jobs, your recruitment marketing needs to be right on target. Just as with Google, avoid searching your own healthcare recruitment advertisements on Indeed.com because it uses an algorithm that is very similar to the one they use. At Fusion Marketing Group, we have one thing on our minds, healthcare recruitment. We concentrate on creating each of our clients a custom-designed search engine marketing plan, working hard to improve your online presence so you don’t have to. ©	2016-2019 Fusion Marketing Group. All Rights Reserved.